The Israeli minister of Public Security, Gilad Erdan, is seeking new security measures to help build a new Jewish settlement near the neighborhood of Ras al-Amoud, in Silwan town, south of al-Aqsa Mosque, East Jerusalem. This expansion will be at the expense of the Palestinian population in the area. On Monday, according to the PNN, Israeli Channel 1 wrote on their website that the plan includes the construction of hundreds of settler units which were not initiated before, due to security measures set to protect the settlement outpost. The possibility of enhancing the security system around the roads leading to the planned settlement is one of the new proposed security measures that are being currently studied. 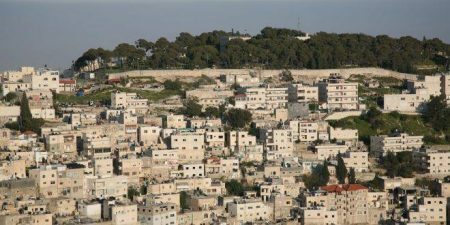 The channel also pointed out that Gilad Erdan and a troop from the Israeli army toured the area on which the settlement is to be established, including the town of Silwan, Baten Al-Hawa neighborhood. They also visited a synagogue which opened, last Thursday evening, in the area.